Add the leeks, bell pepper, asparagus and mushrooms. Sprinkle with salt and pepper. Cook over medium heat, stirring occasionally, for about a half a minute. Add the garlic, stir and cook for another half a minute.Stir in the rice. 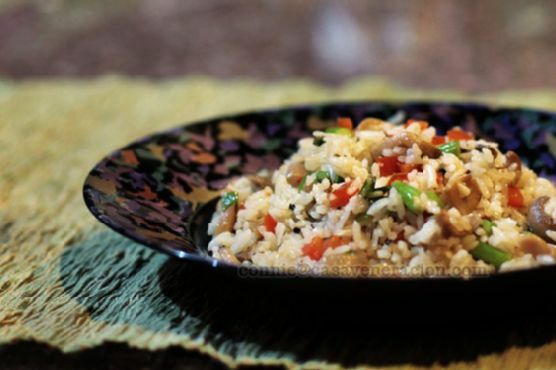 Pour in the broth.Cover the pot, turn down the heat to low and cook until the rice is done, about 20 minutes.As soon as the rice is done, fluff the pilaf with a fork.